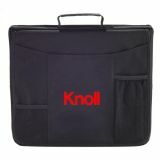 Custom seat cushions with logo imprints are great giveaways for sports leagues, events or concerts. These will not just show off your brand but will also keep your customers and fans happy and comfortable. ProImprint has a wide range of promotional stadium cushions that will make your brand a true sport! Shop today and avail some of the best offers and deals that cannot be matched by many others. We offer the lowest price match guarantee, discounts on bulk purchases, rush orders, quick shipping and much more! FREE set up and artwork assistance on every order! 100% customer satisfaction guaranteed! 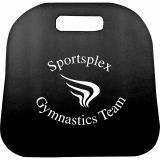 Custom logo seat cushions can be given away at fundraisers, charity events, trades shows and sports store promotions among others. Your sport loving customers need something better than the rock hard stadium chairs that will take a toll on their backs. These comfortable, logo imprinted seat cushions will enable them to catch up with their favorite sporting activity in utmost comfort. 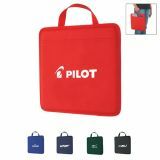 Express your appreciation towards your customers and employees with these stylish seat cushions, which they will surely love to carry around to all the sports events, thereby giving your brand a bold display. Personalized seat cushions from ProImprint are offered in a palette of vibrant colors and you enjoy maximum brand exposure at all times. 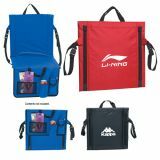 Designed to ensure maximum seating comfort, these have backrest for stability and a sturdy design and various useful features like rear and front pockets, which can hold your customer’s essential items like cell phones, cans or , tickets. Your recipients will surely thank your business for having offered them these seat cushions that will let them watch the game in total comfort. 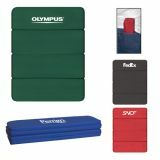 Logo imprinted seat cushions are ideal for long duration sporting events where bleachers may not be a good choice. These foldable custom seat cushions from ProImprint are handy and easy to carry around which will give your brand the much desired portability. 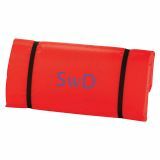 Promotional seat cushions can be used as fundraisers for schools and athletic clubs. The large imprint area will make sure that your logo never misses the attention of your prospective customers and clients. What better way can you think of to express your love and appreciation to your customers than giving out these comfy and stylish stadium cushions? Your team's biggest fans will fall for these practical promotional products that will change the way they enjoy their sporting events forever. ProImprint has tons of custom stadium cushions to match all types of brand promotional needs. 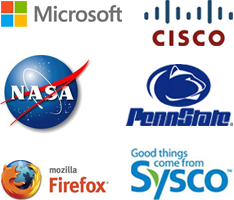 Choose the one that suits you or call us at 844-776-4677 or email us at info@proimprint.com should you need assistance or selection ideas and we can help you find the best options.